The second volume in the series Carbohydrate Chemistry: Proven Synthetic Methods, Volume 2 offers a collection of synthetic procedures valuable to the practice of synthetic carbohydrate chemistry. The series takes an important and unique approach in that all described procedures have been independently verified as reliable and reproducible. With editors and contributors who are highly respected scientists in the field, this book provides a widely useful reference for both researchers and students, exploring carbohydrate chemistry from both academic and industrial points of view. The book begins with an introductory section that offers tricks and tips collected by the series editor from many years of experience working in carbohydrate laboratories. The subsequent chapters present detailed protocols on both specific synthetic transformations and the preparation of common synthetic intermediates, with figures to aid in comprehension. Procedures are described for regioselective benzylidene ring opening reactions, oxidation reactions to provide uronic acids, stereoselective alpha-glucosylation reactions, and more. Protocols for synthetic intermediates of general utility include 3,4,6-tri-O-acetyl-d-galactal, phenyl 4,6-O-benzylidene-1-thio-α-d-mannopyranoside, 1,2-anhydro-3,4,6-tri-O-benzyl-β-d-mannopyranoside, and methyl N-acetylneuraminic acid, among many others. Each chapter presents in-depth experimental descriptions for the reported procedures, including reaction setup, reaction conditions, work-up procedures, and purification protocols. The chapters also provide detailed characterization of all products and intermediates as well as copies of the 1H NMR and 13C NMR of the described products and intermediates to indicate the purity of the obtained materials and to serve as a valuable reference for future practitioners. 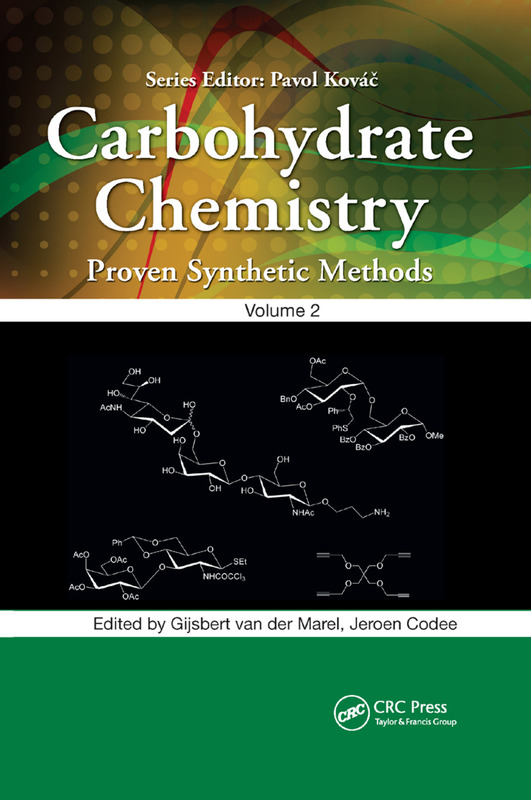 This book provides an important starting point to reliably access synthetic carbohydrate materials and as such offers a valuable resource for the synthetic organic chemistry community. Through the streamlined access of well-defined products it provides a thrust to the rapidly growing field of chemical glycobiology. – Alexei Demchenko, Associate Professor of Chemistry and Biochemistry, Director of Graduate Studies, University of Missouri – St. Louis. ‘This essential book series, focused on carbohydrate synthesis, starts with a dedication to Nobel Laureate Sir John W. Cornforth, who is credited with the first public criticism of what he pictured as ‘pouring a large volume of unpurified sewage into the chemical literature.’1 Unfortunately, this issue is not limited to the field of chemistry as many high profile cases of irreproducible experiments have led to alarms being set off even in the popular press.2 This series then serves as the much-needed water treatment plants – places where the reader can be guaranteed a good clean reproducible experiment. … at least now chemists with or without expertise in carbohydrates can count on finding reliable procedures to make sugar-based compounds at one scale – a major achievement. Not only should current practitioners gain back time lost in attempts to properly reconstruct experimental procedures, but these procedures should also allow more creative scientists to contribute to this growing area. Cornforth JW. Austr. J. Chem. 1993;46:157e70. – Nicola L.B. Pohl, Indiana University, Department of Chemistry, Bloomington, IN, USA, for Carbohydrate Research, http://dx.doi.org/10.1016/j.carres.2015.04.007. Pavol Kovác, Ph.D., Dr. h.c., obtained his Ph.D. in organic chemistry at the Institute of Chemistry, Slovak Academy of Sciences, Bratislava. Dr. Kovác is a strong promoter of good laboratory practices and a vocal critic of the publication of experimental chemistry lacking data that allow reproducibility. He has more than 40 years of experience in carbohydrate chemistry and over 280 papers published in refereed scientific journals, several patents, and book chapters. He joined the National Institutes of Health (NIH) (Bethesda, Maryland) in 1983 where he is currently one of the principal investigators and chief of the Section on Carbohydrates (NIDDK, Laboratory of Bioorganic Chemistry). The world’s oldest research group continuously working on chemistry, biochemistry, and immunology of carbohydrates, it was originally established by the American carbohydrate chemist Claude S. Hudson. Kovác’s main interest is the development of conjugate vaccines for bacterial diseases from synthetic carbohydrate antigens. Jeroen Codée obtained his Ph.D. from Leiden University, the Netherlands, under the guidance of Jacques van Boom and Stan van Boeckel in 2004. Codée then moved to the Eidgenossische Technische Hochschule (ETH) Zurich, Switzerland, for a two-year post-doctoral stay with Peter Seeberger. He subsequently returned to Leiden University, where he is now an associate professor in bio-organic chemistry. His research focuses on glycochemistry and glycobiology, ranging from fundamental organic synthesis to vaccine/drug development and the development of glycobiology tools. He has authored or co-authored more than 70 publications and seven book chapters. Gijs van der Marel conducted his Ph.D. studies on DNA chemistry with Jacques van Boom and received his Ph.D. degree in 1981 from Leiden University, the Netherlands. He has remained associated with this university, where he is now a full professor in synthetic organic chemistry. He has supervised more than 70 Ph.D. students and authored or co-authored over 700 papers. His research focuses on all synthetic aspects of biopolymers, including nucleic acids, peptides, and carbohydrates, and hybrids and analogues thereof.